San Francisco-based Fav.tv, the site that wanted to be a kind of TV Guide 2.0, has been bought by none other than TVGuide.com itself. TVGuide.com’s GM Christy Tanner declined to give any financial details about the transaction during a recent phone conversation, but she described it to me as an acqui-hire, with the goal of strengthening her service’s mobile strategy. Two of the Fav.tv folks will join TVGuide.com full time, while a third employee of the startup will become a temporary consultant. We first reported about Fav.tv last July, and the site officially launched in September. In a way it has been a very traditional TV programming guide, focusing first and foremost on major broadcast and cable network. The site allows users to follow their favorite shows and get notifications when new episodes air, and has impressed with its clean design and simplicity. Tanner said Friday that Fav.tv will go offline in a few weeks, and existing users will be encouraged to join TVGuide.com’s own personalized programming guide, known as the Watchlist. TVGuide.com launched its Watchlist feature last August, and Tanner told me that 450,000 people have created their own personal lineup so far. She said that the Fav.tv team will help to make the Watchlist a central part of TVGuide.com’s mobile experience, both through apps and on the web. “TVGuide.com’s mobile business has been growing really rapidly,” Tanner said, explaining that the company sees some 1.5 million active users per month for its mobile app and web offerings. What to make of a major publisher like TVGuide.com doubling down on mobile video curation? Even if the business has faced its own troubles (it has changed hands numerous times over the past 10 years, the parent company was sold for $1 in 2008 and is now owned by movie and TV company Lionsgate), it’s something that should worry many of the smaller startups. Tanner definitely wasn’t shy about the power a brand like TVGuide.com has in the market. One example: Foursquare-style check-ins for TV shows. 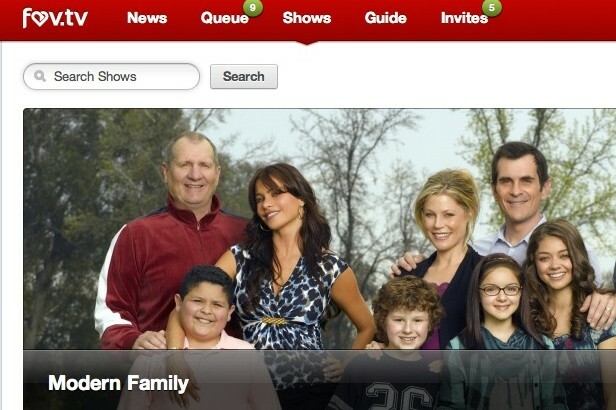 Startups like Miso and Getglue may have been getting a lot of coverage for their check-in functionality in 2011, but TVGuide.com succeeded in selling it to more than 80 advertisers, making it one of the few companies that has actually made money with social TV. “It’s been profitable and contributed millions of dollars in 2011,” Tanner said. Correction: TV Guide the magazine sold for $1; the website and the other TV Guide properties actually sold for $255 million in 2009. Tv Guide, Gemstar, Rovi …was this not the sequence ? Does TV Guide exist independently (and not part of Rovi)?